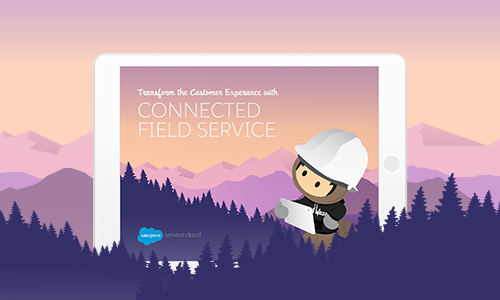 Learn how to transform your customer experience with field service. Field service teams are facing whole new challenges to meet the needs and expectations of today’s connected customers. In this e-book Salesforce shows you how your business can revolutionize the way you manage service to deliver a faster, smarter, more personalized customer experience from end-to-end. You’ll get key best practices for delivering connected field service for your customers, agents, dispatcher, and technicians. Download your e-book to start transforming your field service, and your business, today.